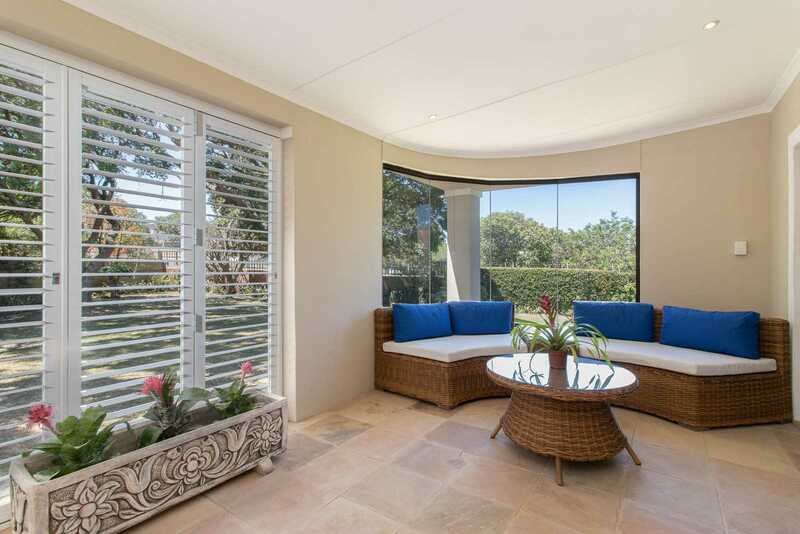 This ultra modern home offers sophisticated living and loads of space in an expansive treed garden. 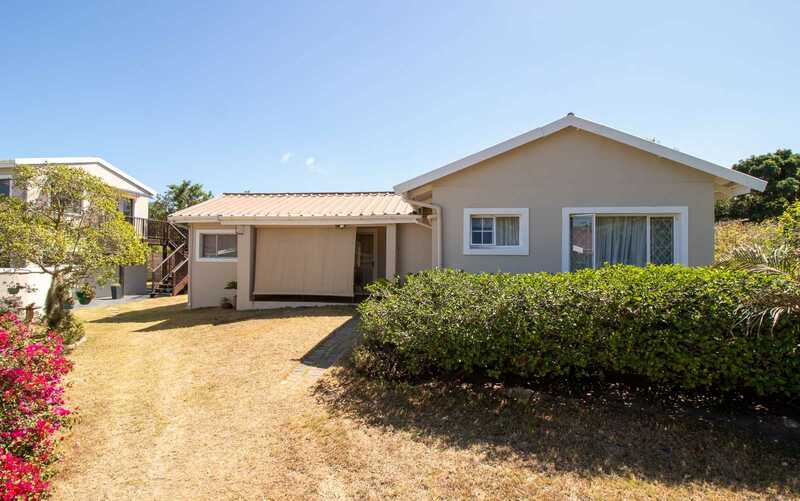 It has the potential to run a Bed and Breakfast or Guest House and is simply ideal if you're just looking for space for extended family. 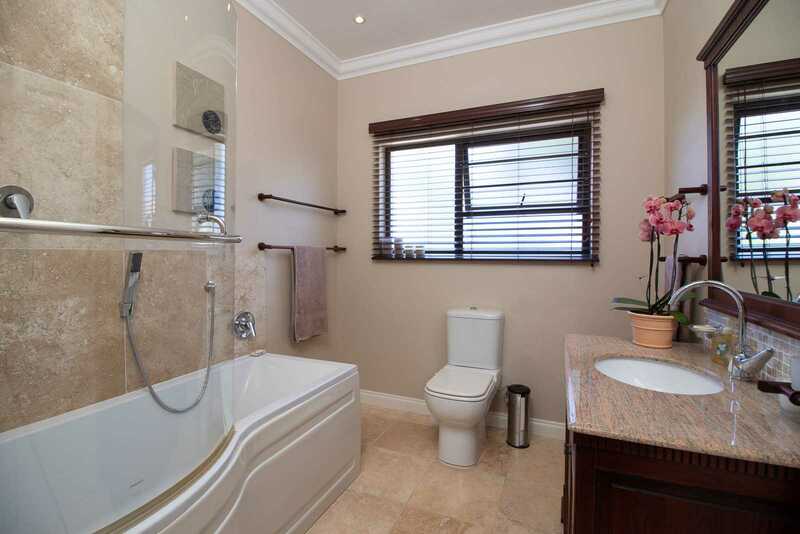 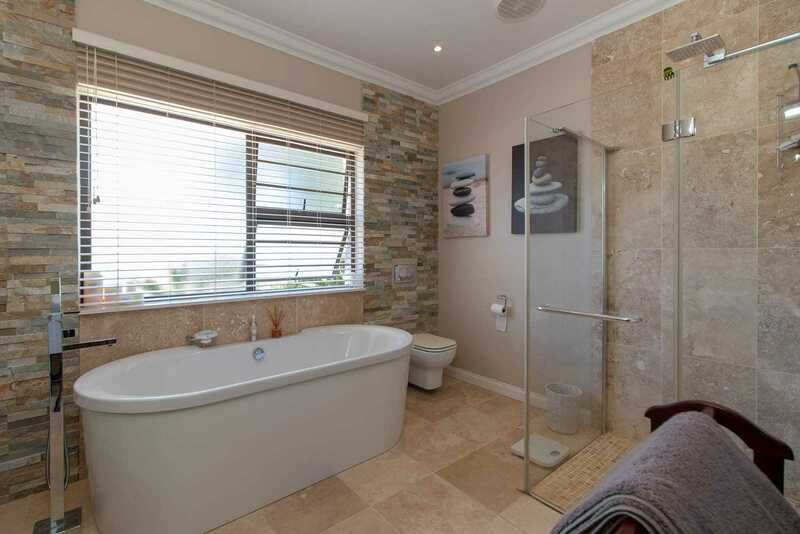 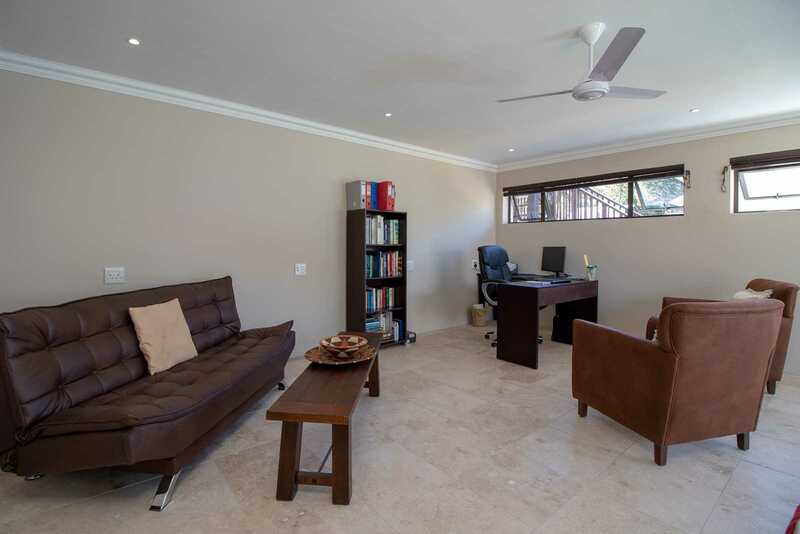 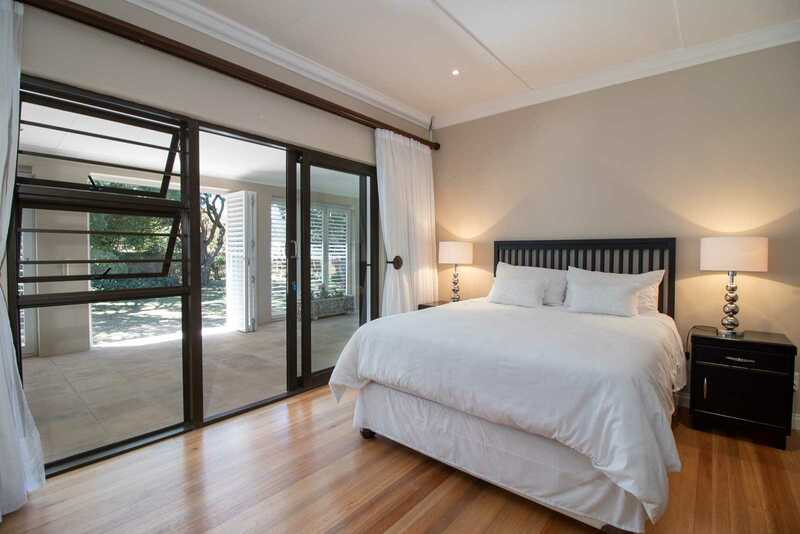 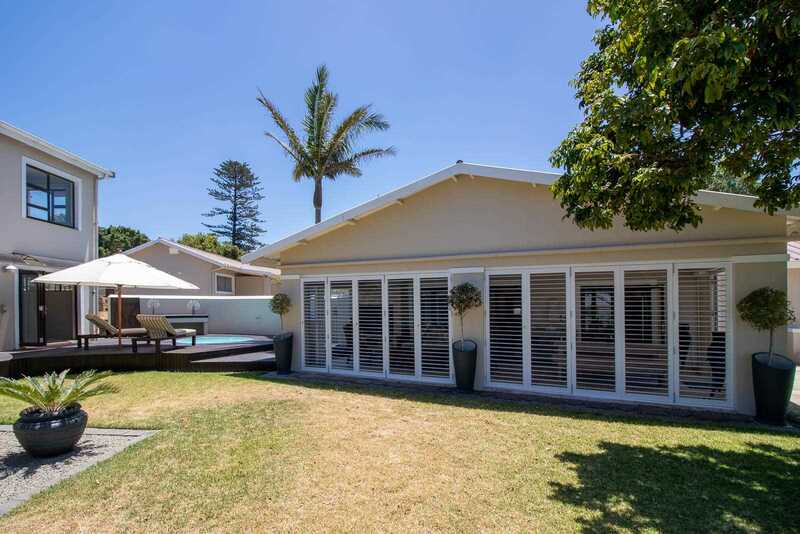 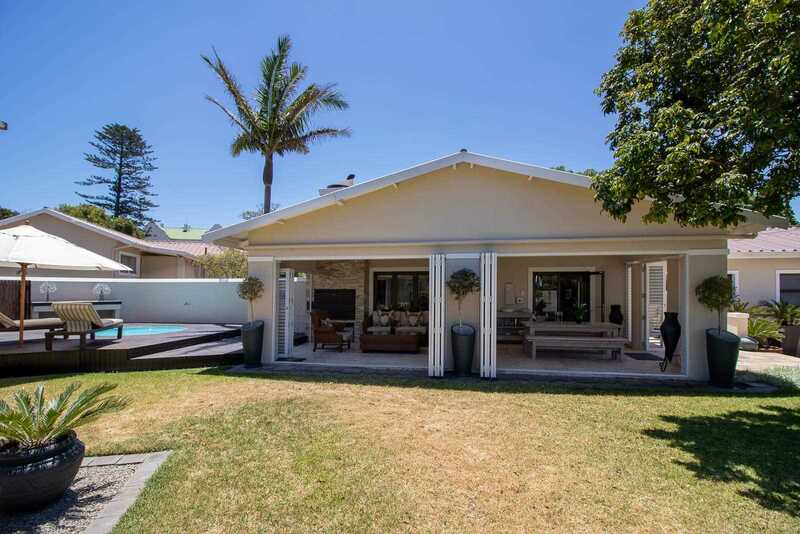 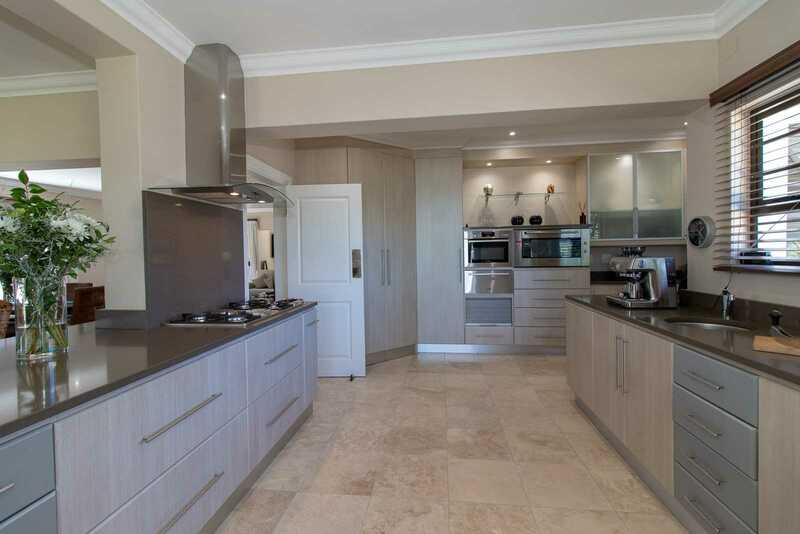 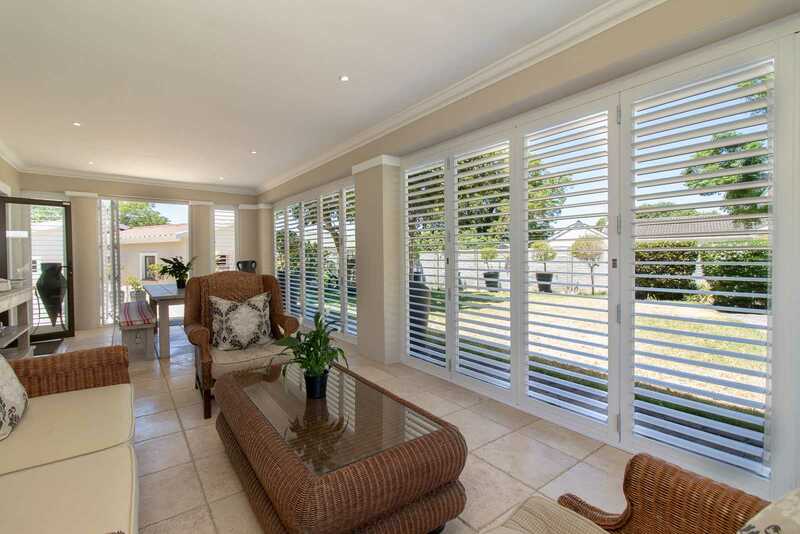 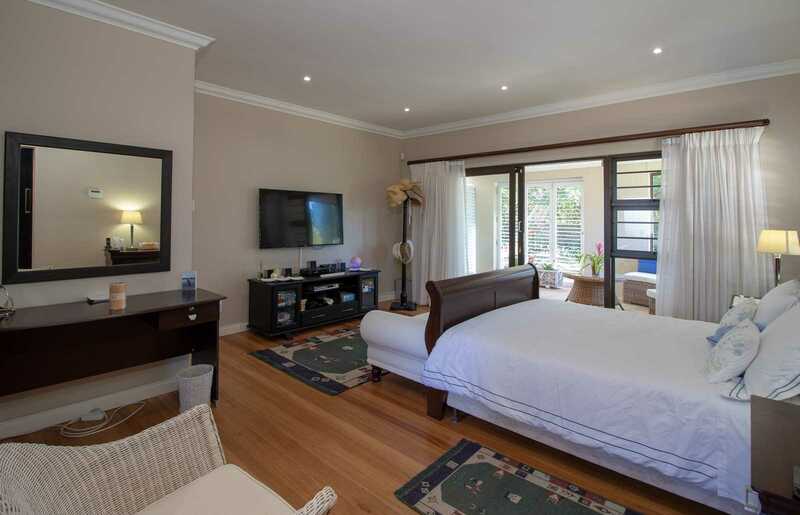 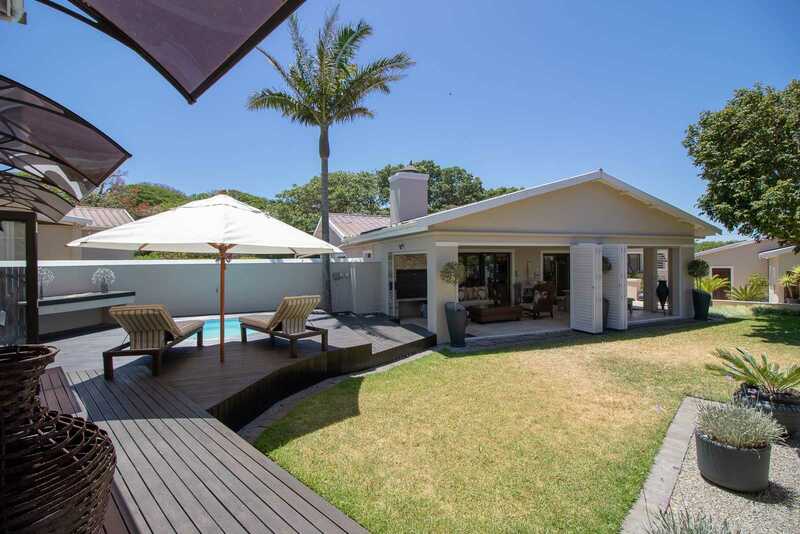 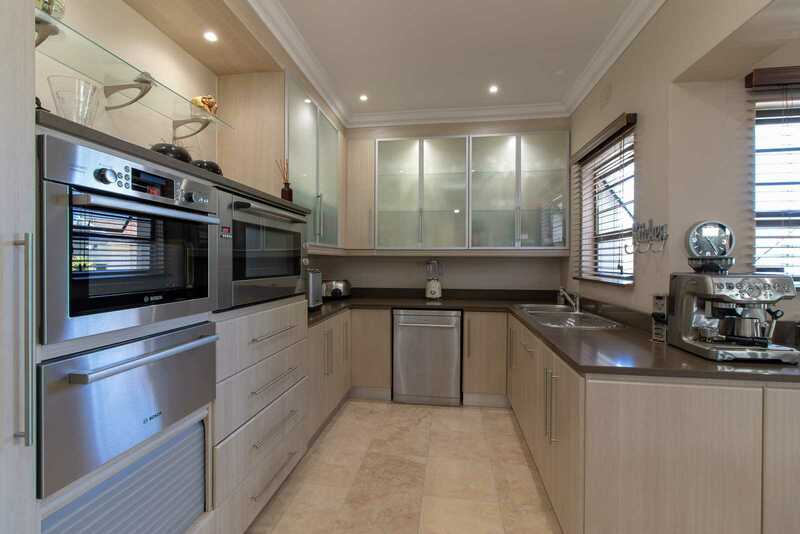 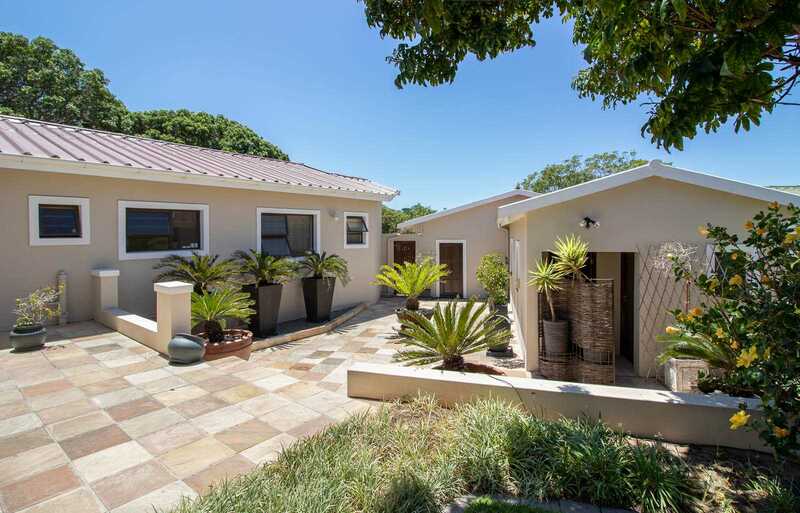 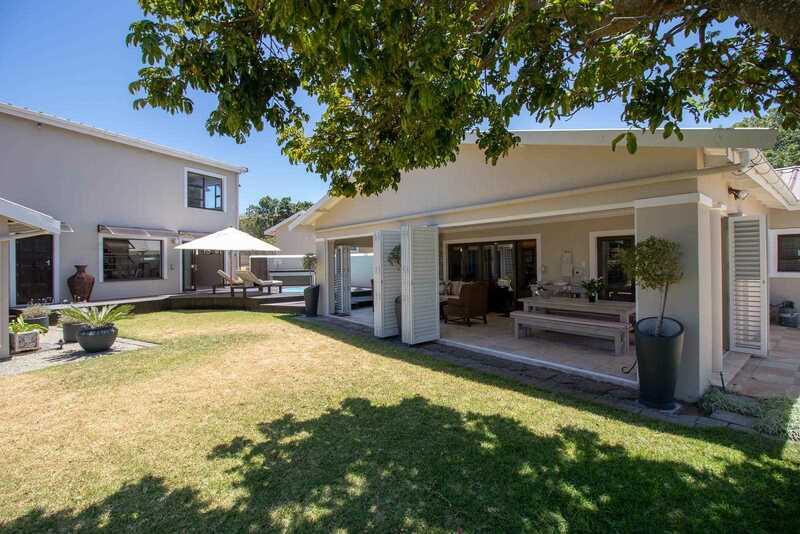 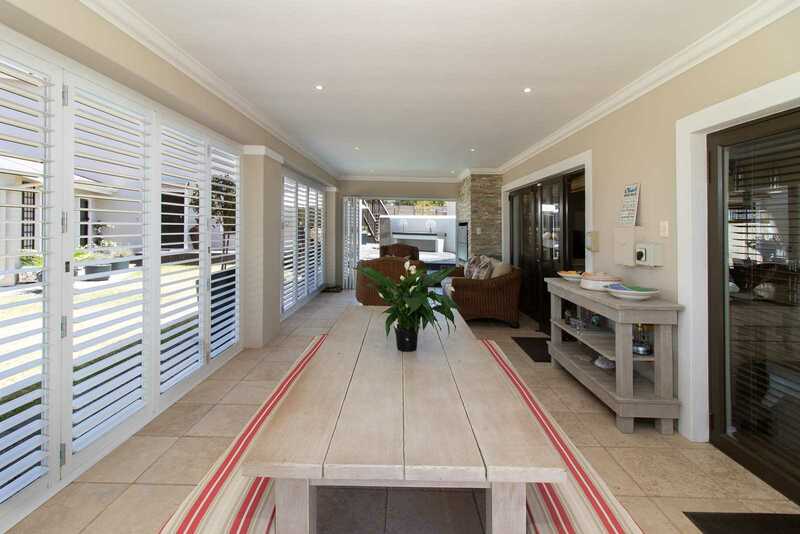 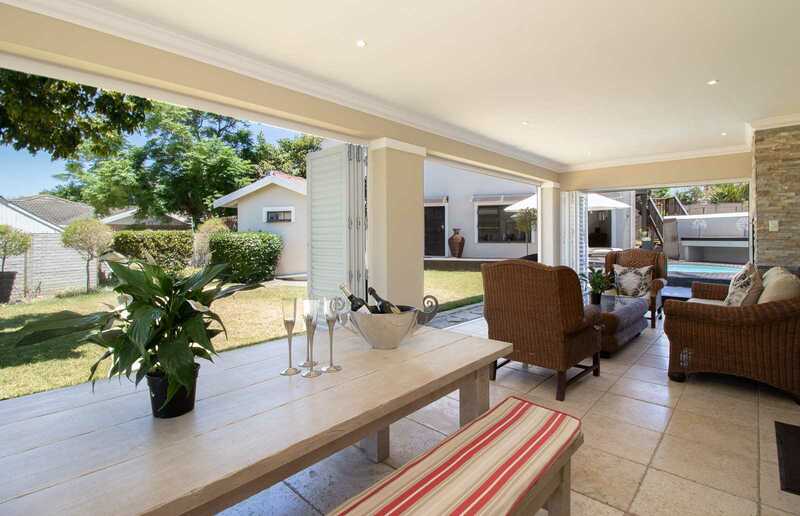 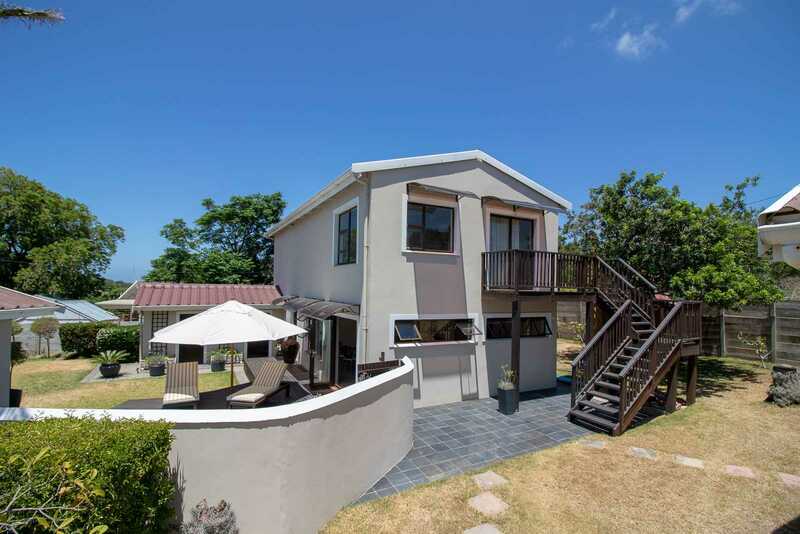 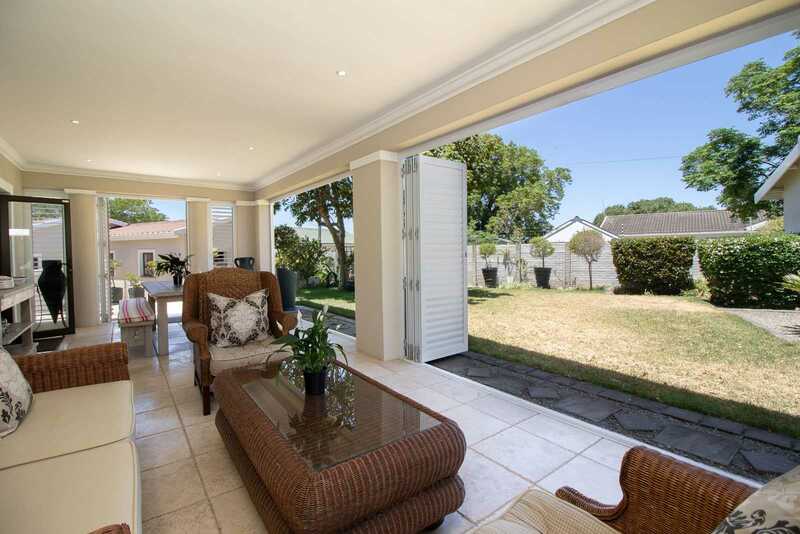 Newly renovated, this home is comprised of an enclosed verandah and entrance foyer, a large lounge and dining room combined, a TV Lounge, a well appointed modern kitchen, an indoor braai area with fold back doors and shutters, three bedrooms, two bathrooms and a guest loo. 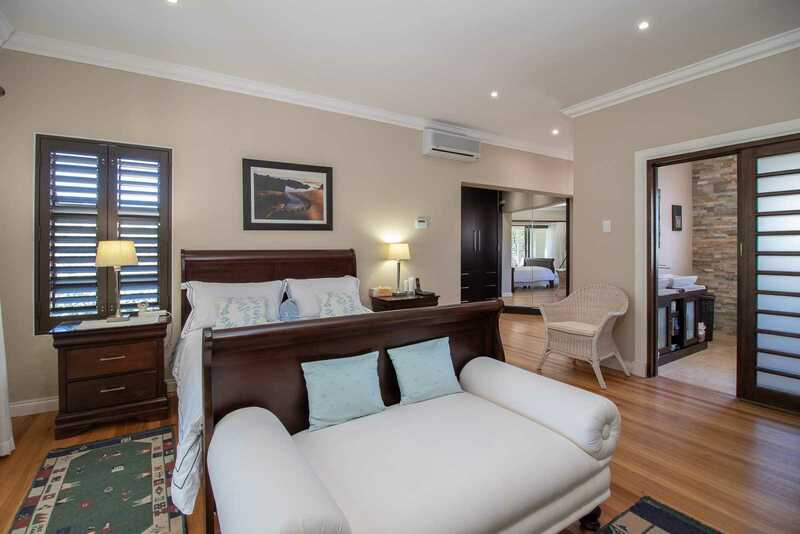 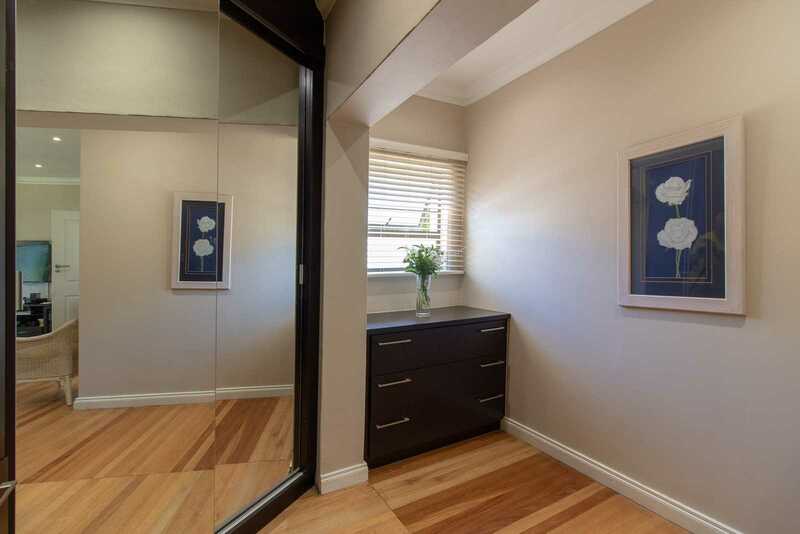 In a separate building across from the sparkling salt chlorinated swimming pool and pool deck, you'll find a double storey building which is home to a spacious study, a laundry and two storerooms with a self contained flat upstairs. 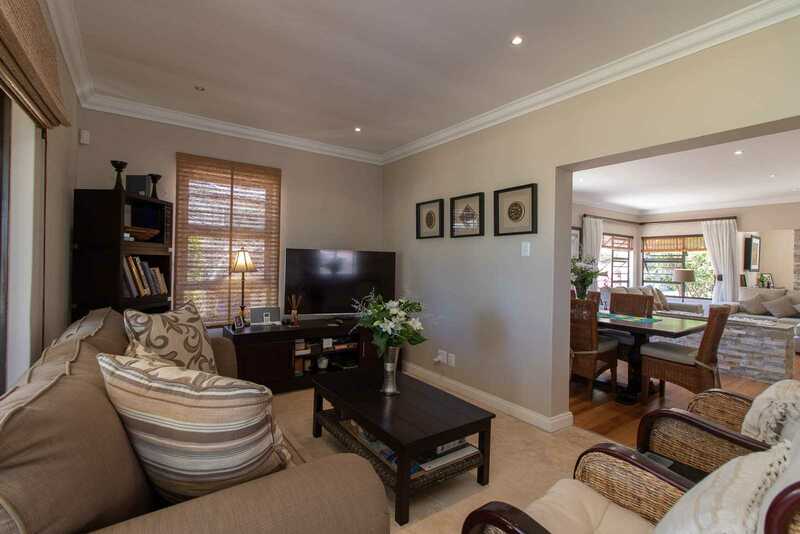 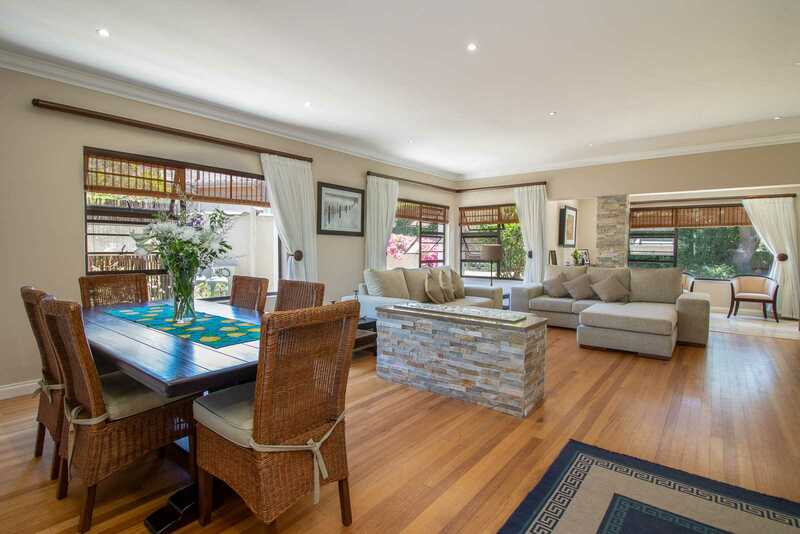 In the back garden, you'll find a further flat comprised of a lounge, diningroom, kitchen, two bedrooms and a bathroom. 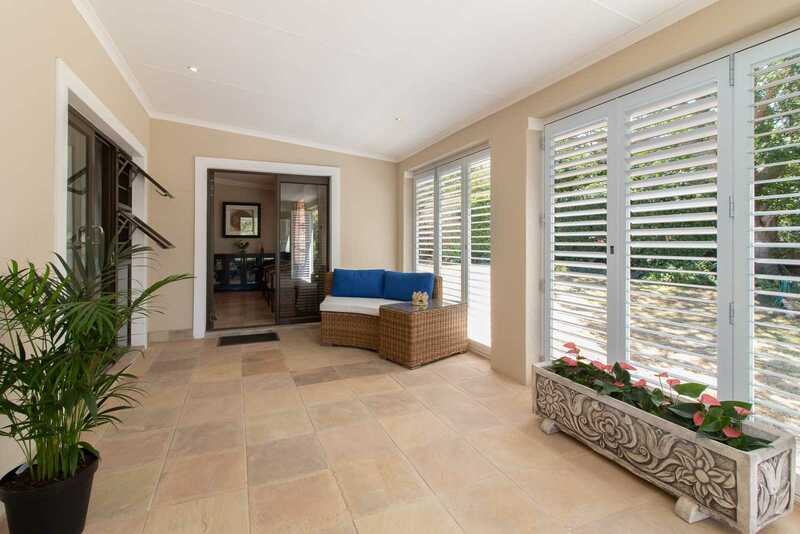 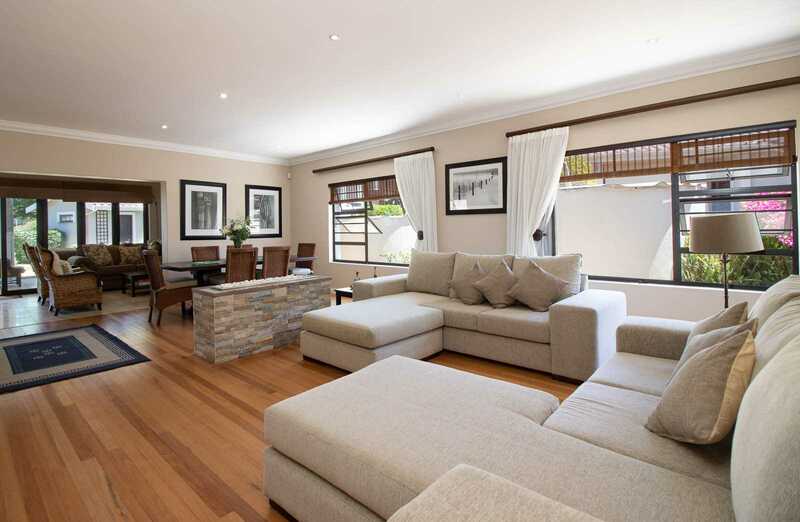 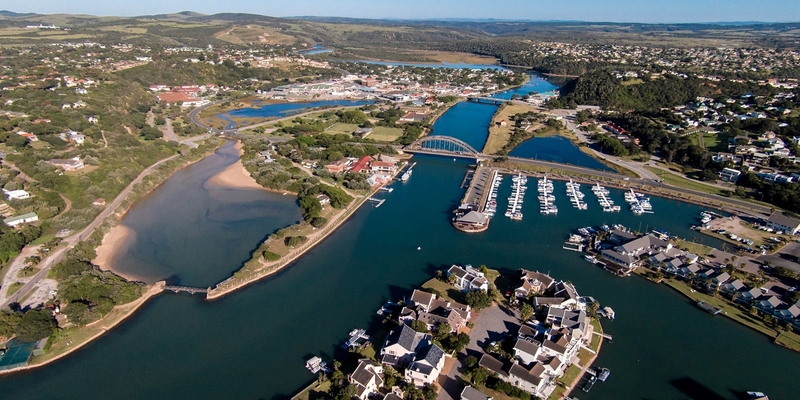 This home boasts beautiful solid timber floors throughout, a modern gas fireplace to add ambience to the lounge, plantation shutters on the sunroom and enclosed verandah, a state of the art security system with external beams and cctv cameras and a plentiful supply of over 100 000 litres of rainwater capable of running the entire house on fresh water. 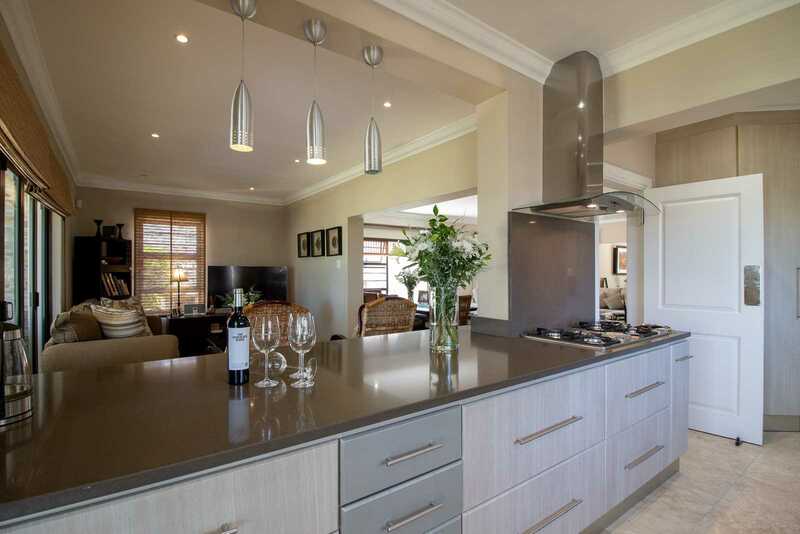 This home is an entertainer's dream.The designer kitchen, finished in neutral shades with caesar stone tops sports an integrated microwave, an eye level oven and dishwasher as well as both gas and electric hobs. 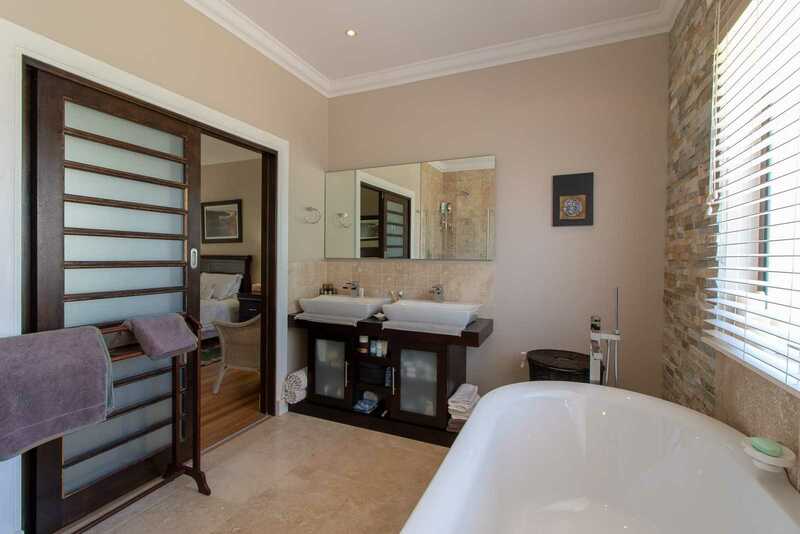 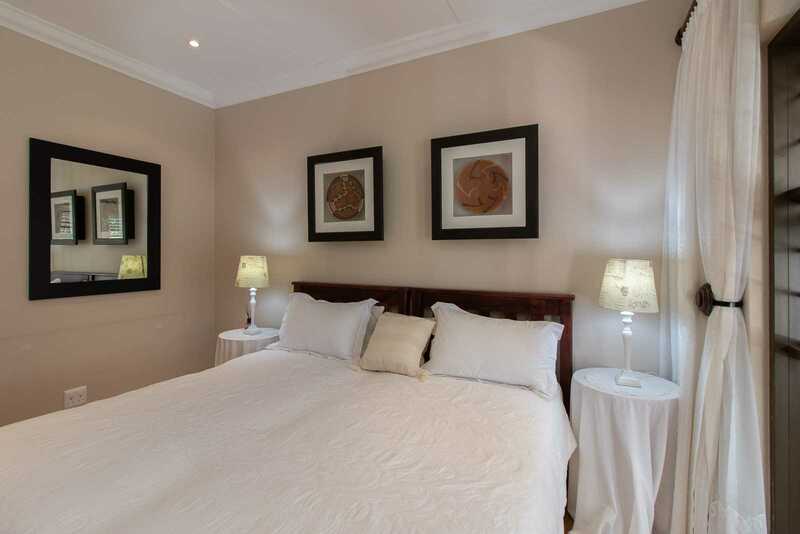 The expansive master bedroom has a walk in dressing room and an exquisite en suite bathroom with a shower, twin basins and a bath while the two family bedrooms share a bathroom. 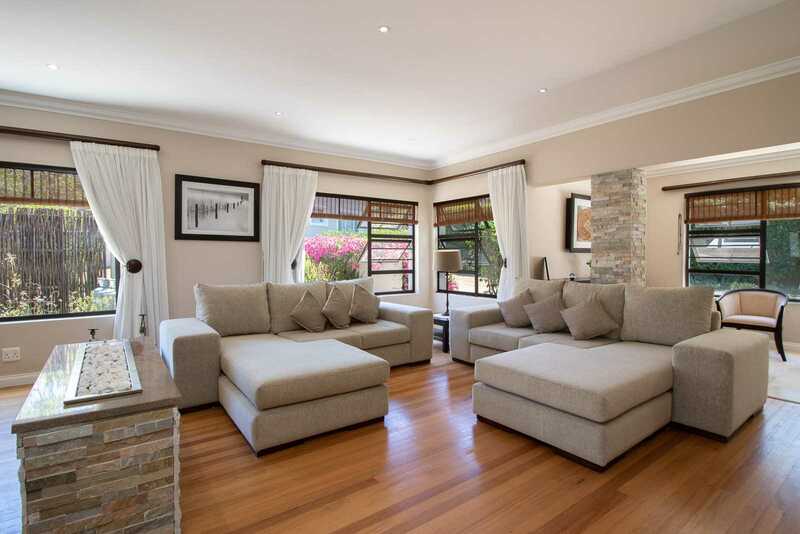 All three bedrooms have TV points and open onto the enclosed front verandah with plantation shutters lending privacy as well as character to an area that doubles as a pyjama lounge where you can enjoy a cup of early morning tea or as an area where you can curl up with a book in the summer months when you're looking for a cool corner. 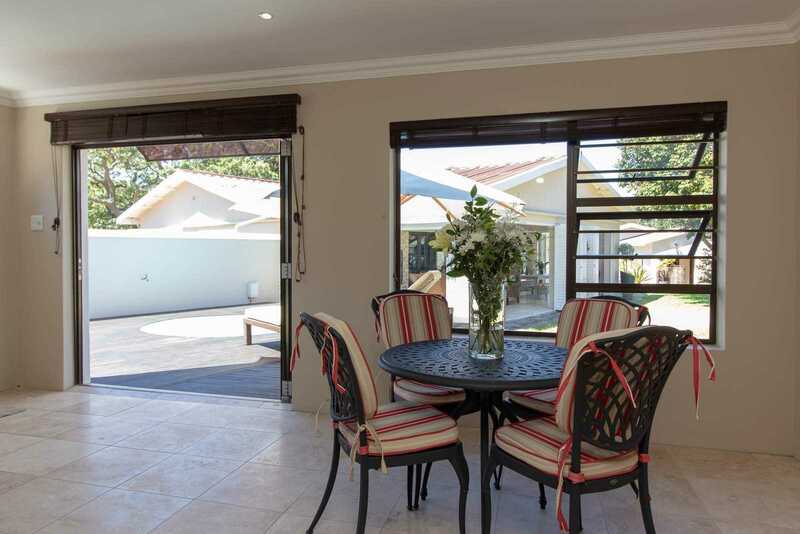 Two remote controlled garages, one of which is tandem, ensure that three family vehicles are securely parked and protected from the elements. 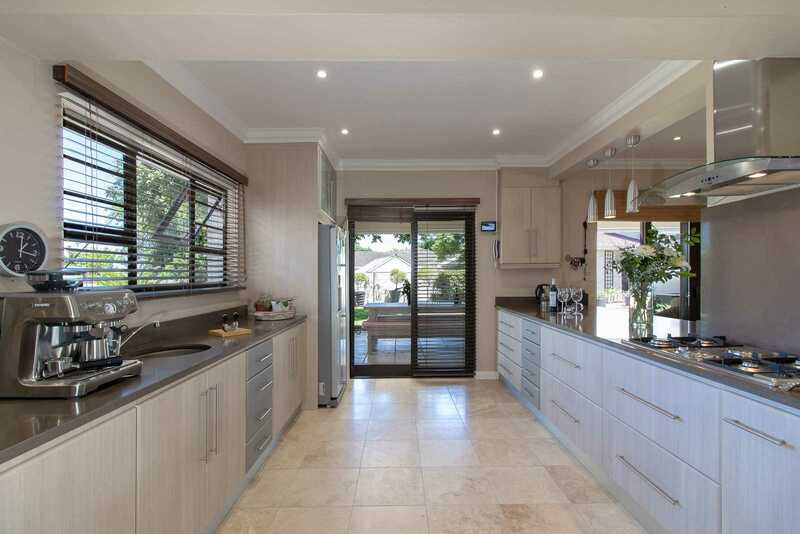 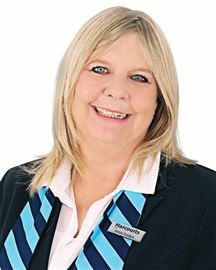 Whether you're a farmer looking for space, an entrepeneur looking to run a business from your home, a couple or need space for extended family, or just a discerning buyer who likes the better things in life, this home is worth a look, so give me a call to view. 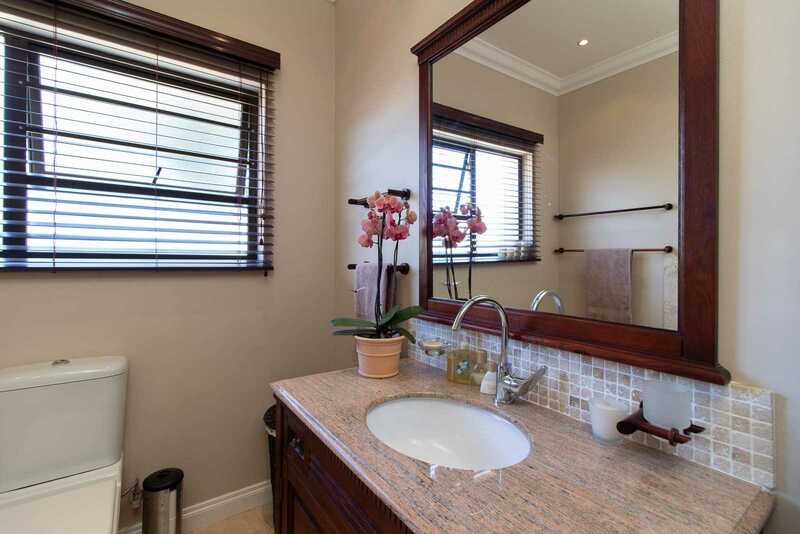 I promise you won't be sorry.